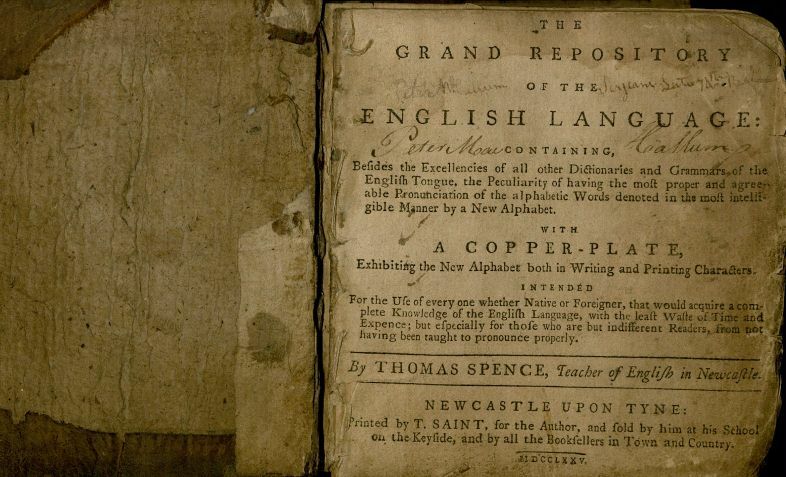 As part of an effort to increase our holdings of English lexicography and linguistics, we recently acquired a very rare work: Thomas Spence‘s The Grand Repository of the English Language (1775). 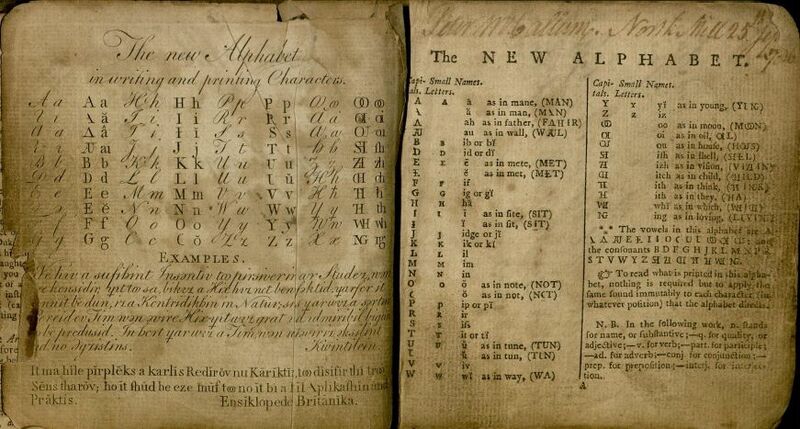 Spence, a Newcastle schoolteacher and political refomer, developed a phonetic alphabet that was far ahead of its time, but received little contemporary notice. Houghton’s copy of The Grand Repository is one of only three known to exist. Today, however, Spence is the subject of increasing scholarly attention. 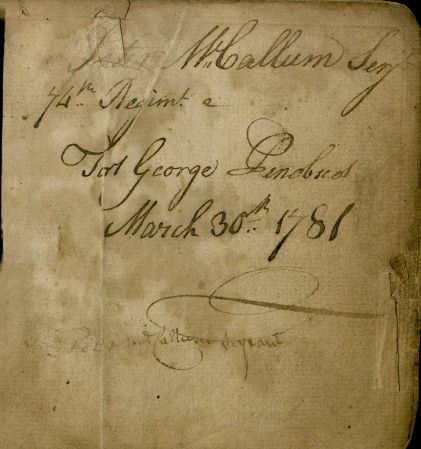 This particular copy is also notable for its provenance; it is inscribed “Peter McCallum, Serj., 74th Regiment, Fort George, Penobsc, March 30th, 1781.” That indicates that McCallum was part of a British regiment stationed at Fort George in Maine during the American Revolution, and likely took part in one of the colonists’ most stinging military defeats just two years earlier, the Penobscot Expedition.